A lifelong animal lover and animal advocate, Cat left the US in 2007 as she gave up her life riding horses and managing stables in Virginia. Since graduating from American University in Washington, DC with a Bachelor’s degree in International Politics, Cat has lived in several countries around the world working as an English teacher and traveling in Europe, Asia and South America. She has lived in Vietnam since 2012. 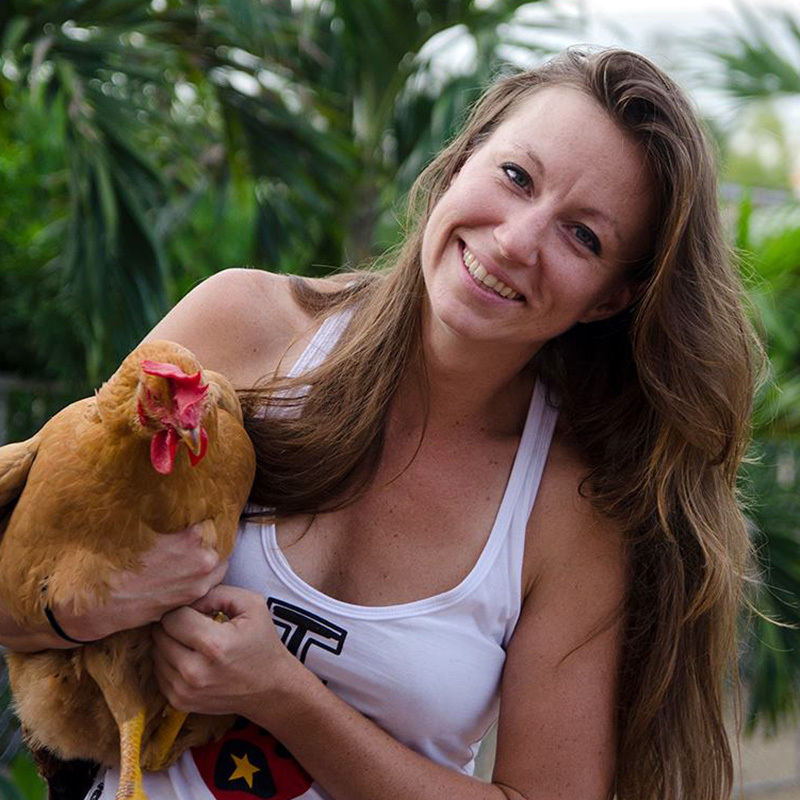 Since moving to Vietnam, Cat has been vegan since 2013 and encourages other animal rights advocates and organizations to end speciesism in the animal rights movement. She completed her Master’s degree in Emergency and Disaster Management in 2016 with a focus on animals and community-driven adaptations to climate change related disasters. She is an avid runner and since going vegan began endurance racing in marathons and even an Ironman triathlon in Vietnam. Currently she manages the day to day operations of the shelter, all administration, media, accounting, and volunteer and staff recruitment. What started as a rescue shelter for dogs and cats in Hoi An in 2013, quickly become much more. Our original two founders saw a great need for a rescue shelter in Hoi An where animals are often receive poor care from owners or are stolen and sold for the dog and cat meat trade. They began fundraising, gathered supporters, and started to take in animals. When they first started working, they were immediately overwhelmed with rescues of kittens found at markets and dogs suffering from cruelty and neglect. It wasn’t long before they realized that the local vets were not able to care for the animals properly due to poor education in veterinary schools, a lack of training in simple surgical procedures like sterilization, and poor access to quality drugs and tools. They needed to expand into building up the capacity of the Vietnamese veterinary community to come to better diagnoses and treatment plans and to perform clean, safe procedures. 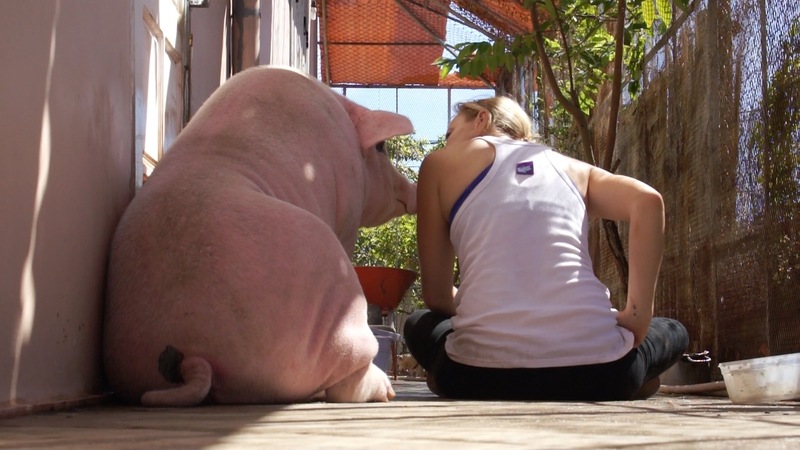 At the same time, they saw that the need for better care was for much more than just cats and dogs and they began to rescue chickens, ducks, and even a couple of pigs. Eventually the organization split between the founders and Cat continued to carry on work on non-speciesist animal rights advocacy and the non-profit vet clinic. She began community outreach for sterilization and free vet work for rescues and low cost services for local pet owners. Unfortunately our vet clinic had to close in June 2017 due to a lack of funding and difficulty recruiting qualified veterinarians for long term assignments, but we plan on restarting our mobile clinic program for mass sterilization projects once we move up to Hanoi where we can engage vets who regularly travel for sterilization projects around the world through international veterinary organizations.